The gun lovers always want to show their guns to people. It’s also their desire to share their knowledges about the guns. But, unfortunately it becomes really impossible to showcase the real guns. The gun lovers may feel it not right to show a real gun to the people. After all a gun is a killing machine. 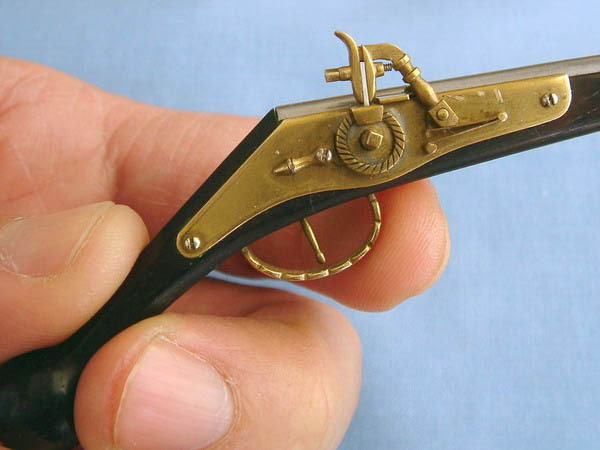 But, what if, the guns are available in miniature forms with real working parts. This is possible with the goat guns. 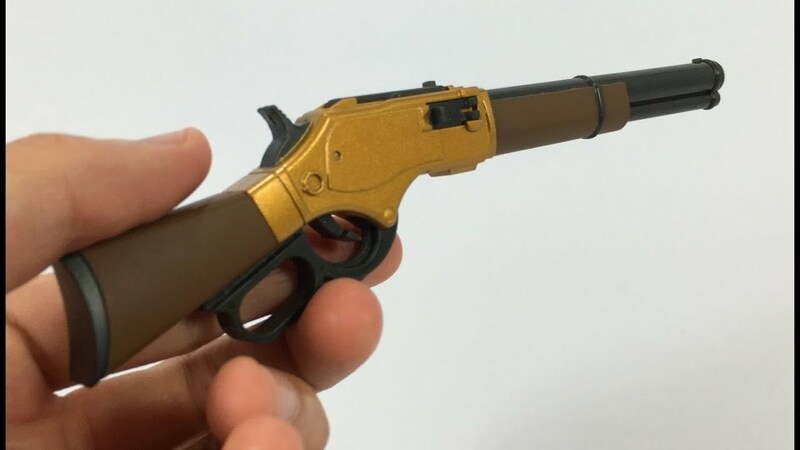 The goat guns website has many models of real miniature guns which can be possessed by anybody. What Kind of Guns Are There? From Ak-47 to sniper rifles, many popular gun models are there. Guns like – Ak 47 gold, Ak 47 black, Ar 15, Camo M4a1, .50 cl , M16, Sniper, Bull pup, SVD, TMS and many more. The guns are also available in packages. There are some old gun replicas and new models of guns. The guns look really original. The guns have a size of 1/3 rd of the original and they have a great look. The parts of the guns are metal parts. But, there is no wood in those guns. Just like the real guns, these guns have springs, magazines, solid bullet replicas and attachable parts. The guns are non firing. That means, these guns don’t fire any bullet. Guns are available in different colors. The best thing about these guns is that, you can remove the parts and you can look inside the guns. Some guns come in separated parts. You have to join the parts yourself to make it a complete gun. Sniper rifles and some heavy looking guns come in such packs. Who Would Love These Guns? And Why? These guns would be loved by the hunters and shooters. The sports persons and the person who worked in the army would love these gun replicas. Why would somebody keep these miniature guns instead of real guns? Hunters who have killed many animals, tell their adventure stories to every body. The stories may have different characters, but, there is one common thing in every story. The hunter and his gun. So with a replica of a gun, these stories would become alive. Children and the listeners would be captivated to imagine the exact scenario of the hunting. The thrilling stories would be more thrilling with these gun replicas. The sports persons ( the shooters) can also share their memories and stories with such miniature version of guns. The sniper experts in the army can tell a griping story and they can also share their knowledge of guns. Many people lack knowledge about the guns. They just don’t know how the guns work . An expert shooter or a hunter can educate people about the guns. But, there is always a risk with the real guns. The ignorant persons can pull the trigger anytime and an accident can happen. 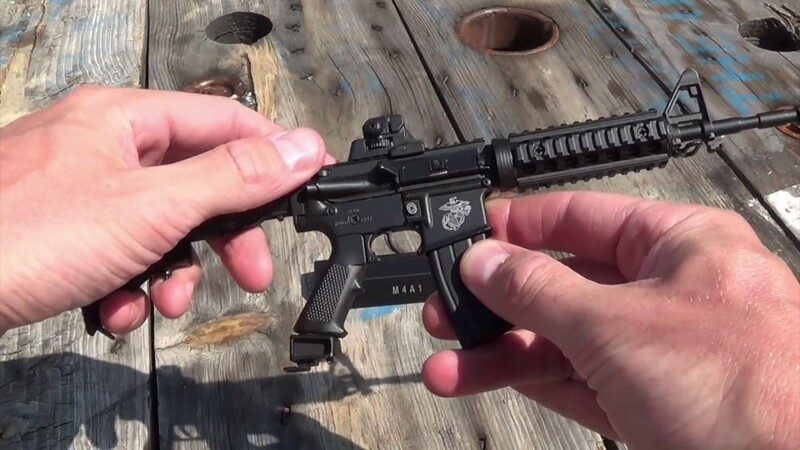 These miniature guns are risk free. They have dummy bullets. But, the entire gun has real parts. It will be really easy for an expert to educate the children or any person, about the guns. The safety lock, the magazines and the cocking of the guns are so real in these guns. The parts of these guns can be removed and attached. The unique attachments of these guns are also surprising. Just like the real guns, these guns are with scopes, extra dummy bullets and extra dummy magazines. A person can know about the parts of different guns. How to load a gun and how to pull the trigger, will be known by the person. From an assault rifle to a sniper rifle, one person can know so much from these replicas. To know about the guns, these gun replicas are just matchless. For the collection purpose, these guns are great. For a hunter these replicas in his house will be a proud possession. It feels little embarrassing to show people the real gun all the time. For a hunter, he just have to unpack his gun every time ( when he wants to show). But, these replicas can be shown without this headache. Apart from that, these guns on a gun board can grab anybody’s attention. Moreover, real guns cost much. It may not be possible for a hunter to have all of them. So, these replicas can satisfy him to some extent. Not only a hunter, but any lover of the guns can collect every gun replica to make a showcase of this guns. To a hunter or to a shooter, these guns are a great gift. The replicas are affordable and it would be a nice gift to somebody who love guns. A hunter has so many memories and these replicas will always make his memories alive. For the kids, these guns can bring a great smile. The guns are harmless. so, they can be a great gift to the kids. The kids would play with it and they could also know more about the guns. Goat guns are really satisfying, despite its miniature size. These replicas are packed with great details. To a hunter or to a professional shooter these guns are really fantastic. The customization option allows to provide different colors and attachments to the guns. The guns with shifted attachments look beautiful. It also provide a different look to the miniature guns. The goat guns website has made the guns with dummy bullets and this feature make the guns harmless. The moving parts of the guns and the detailed look of the guns make them really presentable. A hunter can select his favorite guns and make a wall showing all of these replicas. The sniper guns come in different parts. It’s a real thrill to join all the parts to make a sniper gun. For the education purpose, these guns are truly beneficial. A hunter can show all his skills and knowledge with these replica guns. These amazing replica guns would be loved by any hunter. The kids and the professional shooters can also collect these guns to show off.